U.S. 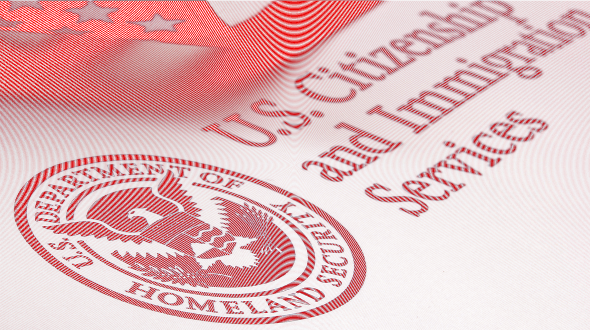 Citizenship and Immigration Services (USCIS) has released a new version of and instructions for Form I-9, Employment Eligibility Verification. The new Form I-9 features a revision date of 07/17/17N. While employers may continue using a Form I-9 with a revision date of 11/14/16N through September 17, 2017. As of September 18, 2017, employers must use only the new version. Changed the name of the Office of Special Counsel for Immigration-Related Unfair Employment Practices to its new name, Immigrant and Employee Rights Section. Added the Consular Report of Birth Abroad (Form FS-240) to List C. Employers completing Form I-9 on a computer will be able to select Form FS-240 from the drop-down menus available in List C of Sections 2 and 3. E-Verify users will also be able to select Form FS-240 when creating a case for an employee who has presented this document for Form I-9. Combined all the certifications of report of birth issued by the Department of State (Form FS-545, Form DS-1350, and Form FS-240) into selection C #2 in List C.
Renumbered all List C documents except the Social Security Card. For example, the employment authorization document issued by the Department of Homeland Security on List C changed from List C #8 to List C #7.